Gray’s have been helping companies set up exhibitions for years now. 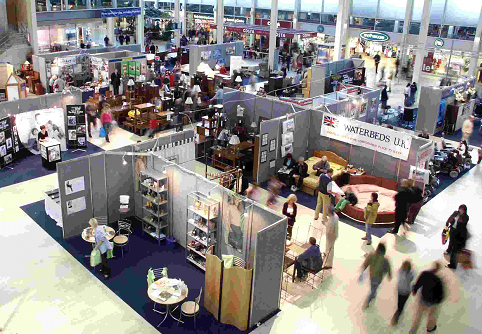 Often companies find themselves too busy to travel 1 or 2 days ahead of the exhibitions dates. We help take the stress out of the setting up and the breaking down of your shows when you or your staff are too tired to manage and just want to go home. 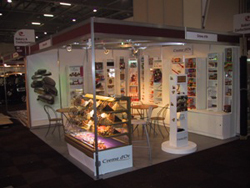 We have even helped display chocolates in a glass chocolate cabinet, which we delivered safely and on time. We appreciate the importance of your shows, and understand that this is your company on show for all those exiting customers and also potential one to see. We try to make it as easy as possible, so to help we do a Gold and Silver service. This gold service is to incorporate a full packing service, which would involve us packing your show up directly from your offices/warehouse, loading our vehicles and transporting your good on to your show stand. We will also unpack your goods and help you display your valuables on the stand. Taking away any rubbish that occurs. Once the show has finished, we will be back on your stand at the dedicated time to do it all again, whist you go home and relax. We will deliver it all back to you at your address. 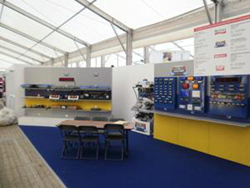 This silver service is to collect your goods that have already been packed by yourselves in advance, load our vehicles and transport your goods on to your stand. We will then return to your stand on the designated day to load, all the pre-packed items and deliver them back to your address. If you need any further information regarding the transportation to exhibitions, please contact our office on the below telephone number.